The Centenary Suburbs and parts of Darra, Wacol, Inala and Carole Park were once the location of large pastoral estates, where horse breeding, cattle grazing and pig breeding occurred. This soft cover book comprises 103 A4 pages. It describes the 19th century pastoral activities and provides maps showing where the pastoral holdings were located in relation to current landmarks. Key features of the lifestyle of the individuals and families associated with Wolston Estate in the 19th century are described. Biographical and genealogical details are provided about Dr. Stephen Simpson, John Mansel Ommanney, Matthew Goggs and descendants, and the Hammond family. One chapter examines 19th century local sources of sandstone including Jeays’s Quarry, in the context of exploring possible sources of sandstone used in the building of Wolston House. This book may be purchased from Councillor Matthew Bourke’s office at Mt Ommaney Shopping Centre. Call 3407 7000 to check availability. Alternatively send your details and payment to us at the address on the Contact Us page. Remember to allow for postage and packing. 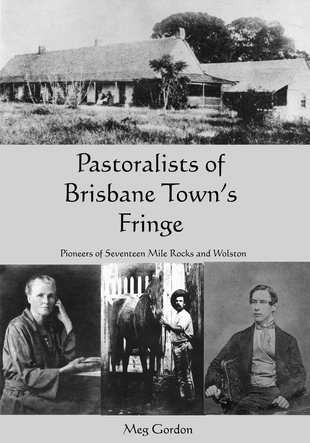 Copies of this book are held at the Brisbane Square, Inala, Kenmore, Mount Ommaney and Sunnybank Hills Libraries.